I just stumbled across a short report by Andi Rahmah of the Indonesian NGO Pelangi, Indonesia. It is entitled "Creating Pedestrian Environment as a Strategy in Developing Livable Jakarta". 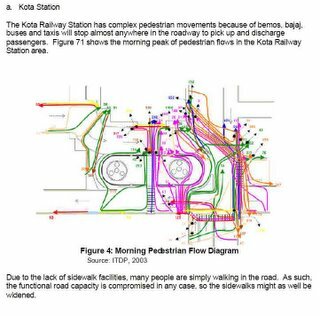 This pedestrian report includes some fascinating photos and diagrams. 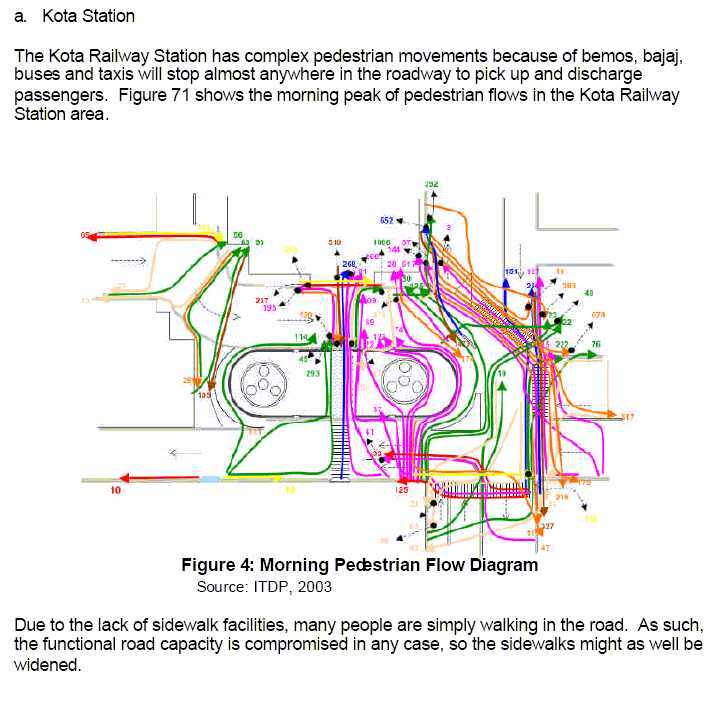 Here is one describing pedestrian movements near the Kota Station in the old centre of Jakarta. I am not sure if the pedestrian environment has changed since this survey was carried out in 2003. Although this is a very brief report (and doesn't include much of the actual data collected) but still interesting since pedestrian studies in developing seem hard to get hold of. I was interested that pedestrian bridges are a target of some strong criticism. I wonder how the Jakarta authorities responded. There was a brief but interesting discussion on pedestrian overpasses at sustran-discuss in 2004. Challenges for Singapore's public transport?